Kid’s Tailgate Grilling Camp & Contest is Smokin’! tender cuts of pork, poultry, beef, and seafood? Absolutely! Welcome to your local 4H Tailgate Grilling Camp. 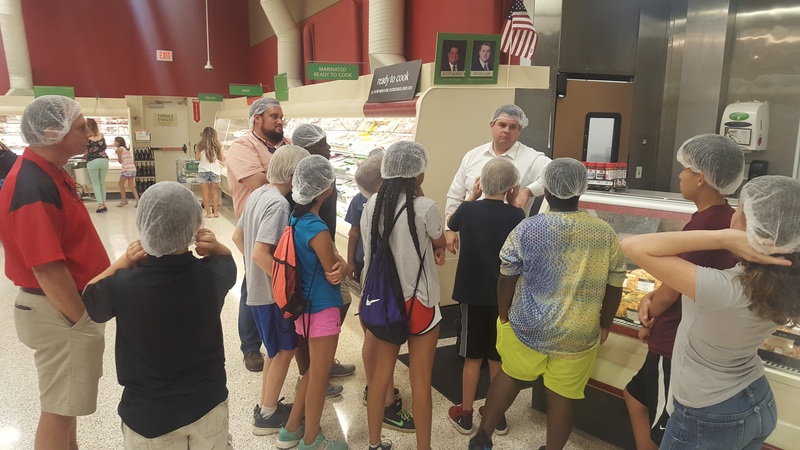 For three days, local Leon County Florida 4H Extension Agents Marcus Boston and Brian Estevez taught kids, from 11 to 15 years old (up to 18 is allowed), about a wide variety of aspects of meat selection and preparation. 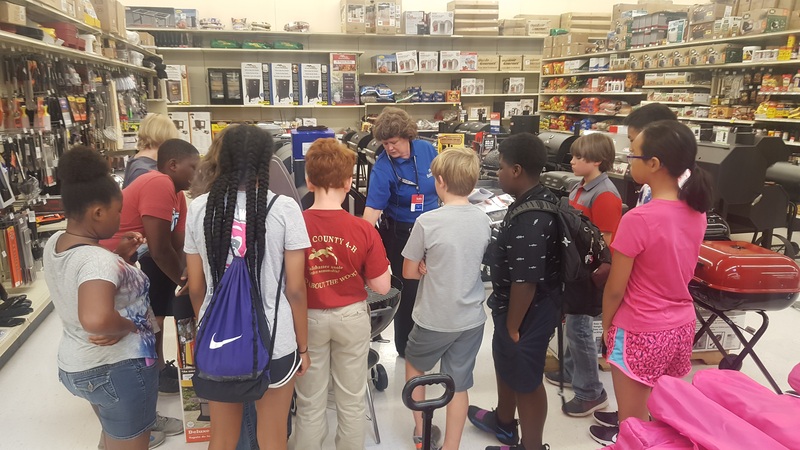 A food safety specialist from the University of Florida’s Institute of Food and Agricultural Sciences, Heidi Copeland, discussed safe storage practices, minimum internal cooking temperatures, food borne illness and cross contamination prevention. Publix Meat Department Manager Scott Bussey gives the kids tips on good meat selection. Photo by Marcus Boston. charcoal grill use, safety, and cooking strategy. Local businesses helped as well. 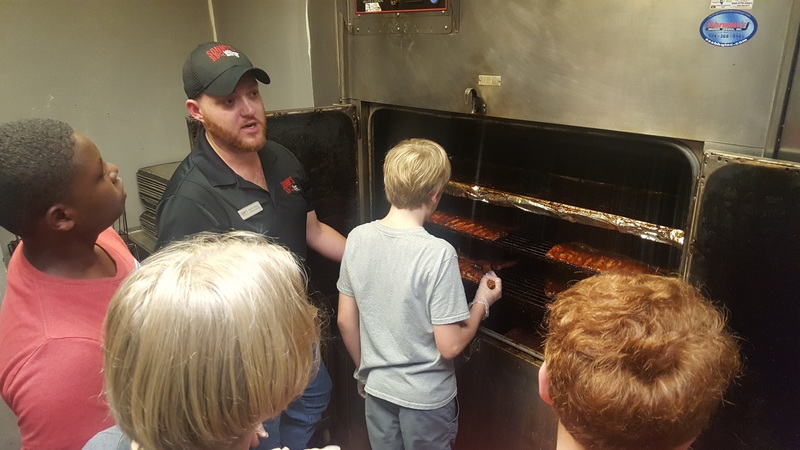 A spectacular field trip to Sonny’s BBQ provided the kids with a first- hand view of what they were learning being applied in a commercial setting. Likewise, the kids were able to see and discuss the characteristics of various meat cuts thanks to Publix grocery. 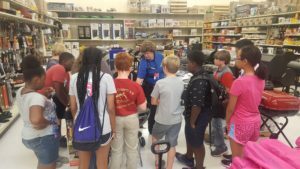 A tour of the grill section in Academy Sports let the kids learn about the many different types of grills, from propane gas to charcoal and pellet offerings to combination units, both direct and indirect heat varieties, as well as accessories. Academy Sports Sally Cole Pumphrey demonstrates the operation of a grill. Photo by Marcus Boston. meat for the requested cook temp to handling fire flame-ups – and working to solve them. 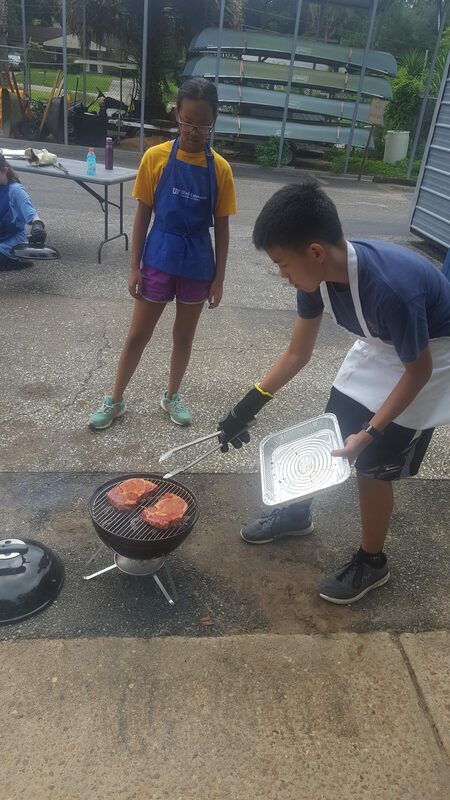 4H camper Jason Liang grilling Ribeye steaks. Photo by Marcus Boston. On day three of the camp, all those lessons and observations came together. The kids put into practice what they had learned; some even went the extra mile and brought in special rubs and marinades – secret family recipes. They prepped their meat, fired-up their Weber Smokey Joe grills, controlled their fire and cooked their meat to the proper temperature. Afterward, a good meal – pork tenderloins, chicken thighs, shrimp kabobs, ribeye steaks, ground chuck burger – and camaraderie were enjoyed by all. prize – $400 1st place, $250 2nd place, $100 3rd place, $50 Fourth Place – with the top two individuals per protein qualifying for the State Championship. First and second place winners there qualify for $1500 and $1000 college scholarships, respectively. Not only were the kids learning skills for the future, whether for cooking at home, working the various jobs in the food industry, or continuing their education, but they were also having a doggone smokin’ good time! *For more information on this or other life skill camps, please contact your local 4H Extension Agent or visit florida4h.org.